File photo of high school students participating in a "trusted adult exercise" during a Sources of Strength training in August 2017. In 2016, a streak of student deaths prompted action within the Thompson School District in Larimer County. As the national conversation around student safety and gun violence grows, officials there are planning to expand a successful suicide and violence prevention program. The program, Sources of Strength, trains students to recognize when peers exhibit early signs of depression or potentially violent behavior. More than 60 students from Berthoud High School, located south of Loveland and the district’s fourth-largest high school, have been through the program. District staff is planning to extend it to all five of Thompson’s high schools this spring. Raquel Ramirez, the district’s school health professionals coordinator, said the program’s success is dependent on that training empowering students to help each other. One Berthoud student died in April 2016 by suicide, according to the Larimer County Sheriff’s Department. Another was murdered that June. But an incident later that fall was the tipping point, Ramirez said. On November 3, 2016, a 15-year-old Berthoud High School student took his father’s AR-15 from an unlocked case at home. According to a Larimer County Sheriff’s report, the assault rifle was loaded with a 30-round magazine. The teen broke into the high school through a door on the south side of the building, early in the morning before the school opened. No one was present in the school at the time of his entry, according to the report. Later that morning, Sheriff’s deputies discovered the student’s body in a small loading dock bay before other students arrived. The student had fatally shot himself. News crews came and went. Berthoud High’s principal at the time resigned. Student Kimberly Blough said she began to question what could be done better to address mental health at her school. She was a freshman at the time. Blough’s hopes led her to go through Berthoud High School’s first Sources of Strength training session, offered to students in March of 2017. She and 23 other students who went through the training were certified as official peer leaders. The program’s main goal is to get a school’s greater student body to incorporate frank discussions about 8 key sources from which students can derive strength and meaning in life: medical access, mental health, family support, positive friends, mentors, healthy activities, generosity and spirituality. The task of incorporating the strengths falls upon a devoted group of peer leaders. 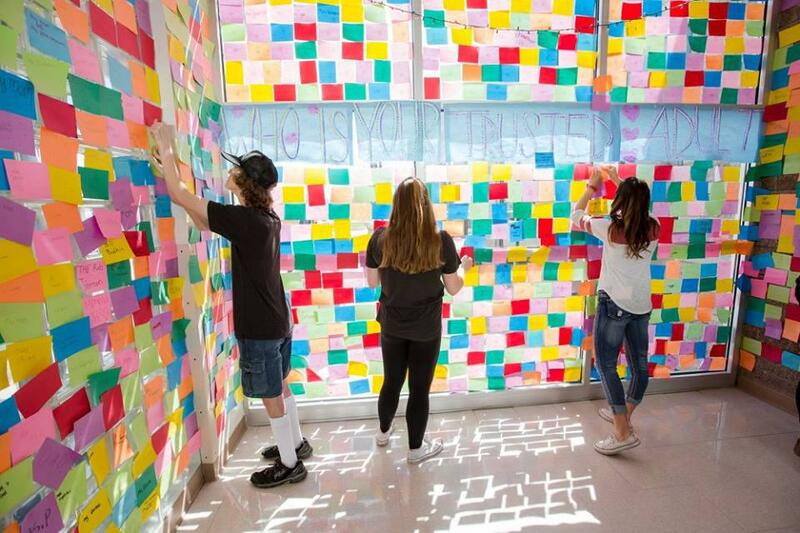 At Berthoud, where the student population tops 700, the leaders, including Blough, meet bi-weekly to organize random acts of kindness, school wide events and fundraisers -- all while taking a watchdog-like approach to catching signs of mental illness within their friend groups. A second training held February 2018 certified 43 new student leaders. Sources of Strength cites 8 "sources" for students to draw strength from: medical access, mental health, family support, positive friends, mentors, healthy activities, generosity and spirituality. The expansion of the Sources of Strength training comes amid parent outcry towards the school district’s policies for handling student deaths and violent acts. In August 2017, Teresa Brunner, the parent of a Thompson Valley High School student who died by suicide, criticized the district at a school board meeting for failing to do enough to prevent incidents. Staff at Berthoud High say the Sources of Strength trainings have addressed parents’ concerns. The front of Berthoud High School in Berthoud, Colorado. The high school has a student body of about 700 students and is the district's first to have students go through the Sources of Strength training program. Berthoud English teacher Allison Lanter said the improvements to student awareness have been both immediate and lasting. The day after the first training in 2017, two peer leaders came to her to share concerns about a friend who was exhibiting signs of depression. “That first step from kids that might not have come to me or anyone initially down the line could have saved their friends life,” she said. 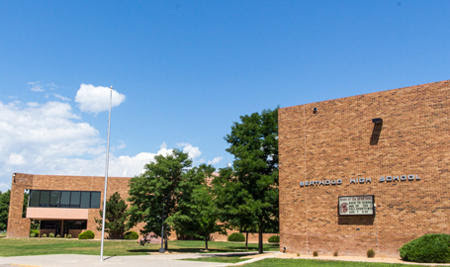 The Sources of Strength organization, which has offices in Lakewood, near Denver, and Bismarck, trains students in hundreds of middle and high schools across the country. Base level trainings cost $5,000 per school, with additional components such as community and parent trainings costing extra, according to the organization’s website. The Thompson School District will need to find alternate sources of funding to keep the program going. The grant that is currently funding the trainings at Berthoud runs out sometime next year, according to the district. The district does not release official statistics on student deaths to the public. Since the trainings began, there have been no reports of student suicides at Berthoud.